On 10th February 2012 Guile played a homecoming gig at the Tackeroo, Hednesford. 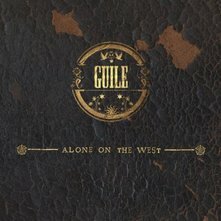 Exclusively available at the show was a limited pre-release of the album 'Alone on the West'. This CD copy included bonus tracks one of which was 'Where the Angels Cry'.